Maura Collins became Executive Director of the Vermont Housing Finance Agency (VHFA) in January 2019. 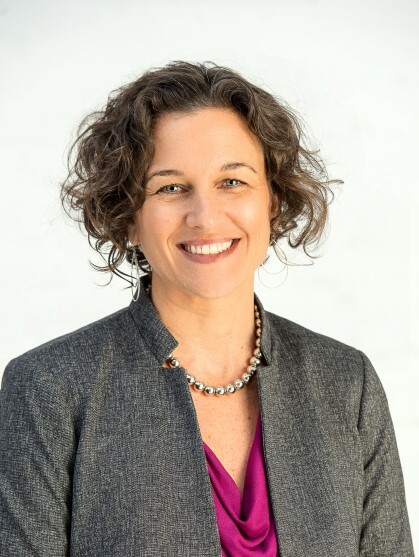 She has worked at VHFA since 2002 in many roles, including oversight of Homeownership lending, real estate development, asset management and compliance, information technology, human resources, research, communications and political affairs. Collins has her Master’s in Public Administration from the University of Vermont and has served on UVM’s faculty, teaching graduate-level housing policy courses. In her spare time, Collins is Chair of the Board of Pathways Vermont, a homeless service agency pioneering a rural version of the Housing First model. In her role at VHFA, Collins sits on the Vermont Housing and Conservation Board’s board, the Vermont Council on Homelessness and Vermont Housing Council. In 2012, Maura was named as one of the top 40 professionals under 40 years old by Vermont Business Magazine. Prior to joining VHFA, Maura worked at the Technical Assistance Collaborative in Boston, MA, as a housing consultant focused on housing for people with disabilities and/or who did not have homes.